St. Patrick Cathedral - Volz & Associates Inc. Designed by architect J. J. Kane 1888, St. Patrick Cathedral shares a site with St. Ignatius School and the parish rectory. 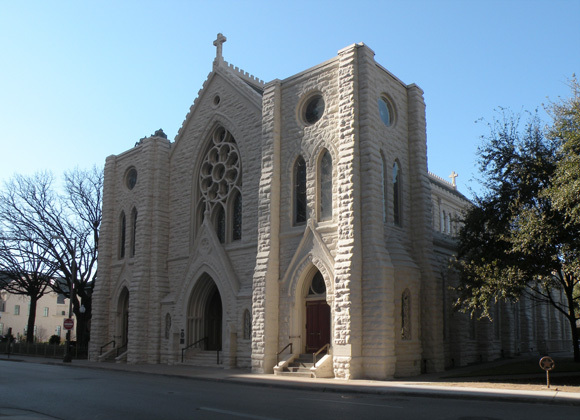 We prepared a Preservation Plan for the complex, including an assessment of existing conditions and recommendations, schematic designs, and cost estimates for the repair and conservation of historic building materials and extensive improvements desired by the Owner, the Roman Catholic Diocese of Ft. Worth. 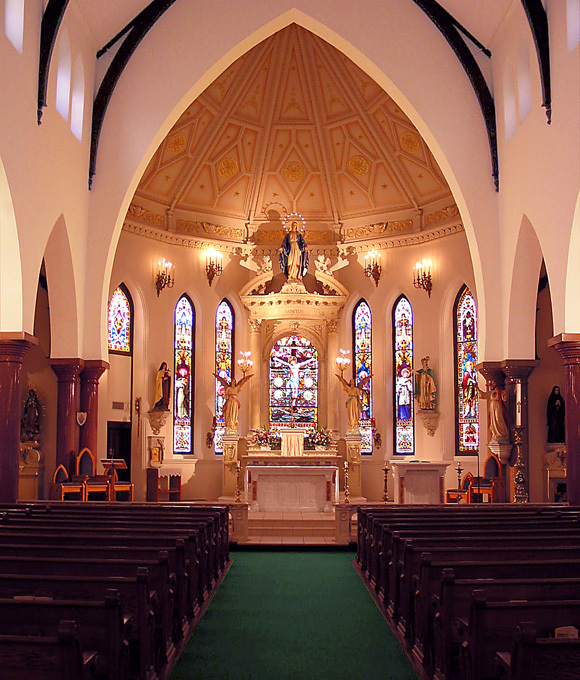 The restoration program defined in the Preservation Plan was approved by the Diocese and fully implemented in a multi-phase restoration program.